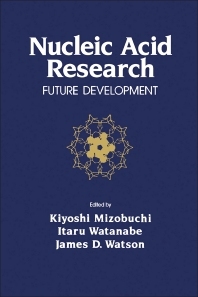 Nucleic Acid Research: Future Development reflects the exchange of ideas and information among the participants of ""The Future of Nucleic Acid Research"" symposium held at Kyoto on December 1981. This publication aims to extend the ideas presented in the symposium and to provide facts that can answer various scientific questions, particularly, in molecular biology. The book is divided into five parts. It explains the structure of DNA and chromosome and the interaction of nucleic acids with proteins. It also discusses the gene organization of prokaryotes as well as the gene expressions in eukaryotes and prokaryotes. Moreover, it talks about the DNA replication and recombination prokaryotes. This publication is a masterful reference for genetics and molecular biology researchers and lecturers. It will also be an excellent learning material for students taking different courses in biology, including genetics, cell and molecular biology, molecular biophysics, and biochemistry.